Low Lily is a perfect example of why there are house concerts at Fifth Street. The trio—Liz Simmons (vocals and guitar), Flynn Cohen (vocals, guitar, and mandolin) and Lissa Schneckenburger (vocals and fiddle)—travels through the roots and branches of American folk music and mixes traditional influences and modern inspiration that weave together exceptional acoustic music. 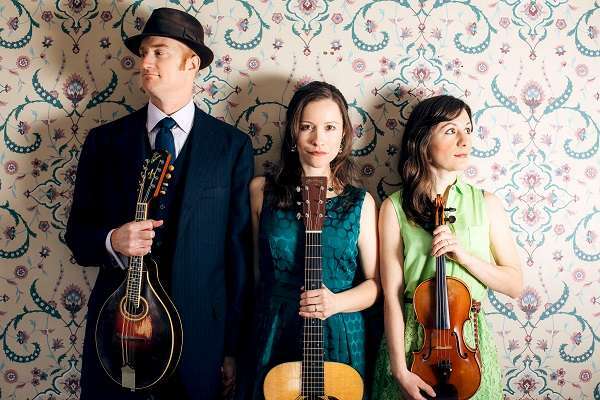 The three are expert players with deep relationships to traditional music styles including bluegrass, Irish, Scottish, New England, and old-time Appalachian music. Combining this with great composition skills and inventive arrangements, Low Lily creates music that is both rooted and contemporary. Check out a tune here. 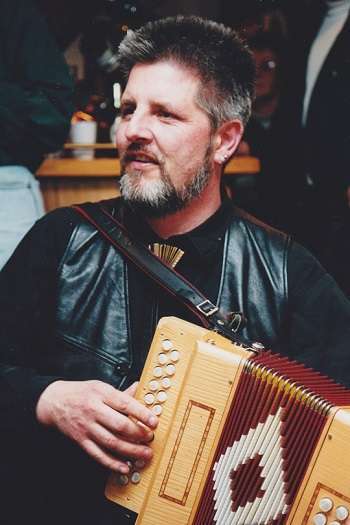 John Whelan is one of the world’s most well-known button accordion players. Originally from England, his love and expression of traditional Irish music has brought him to the front of the roots music scene. John says, “You can appreciate my music for what it is, not for what type of music it is.” Listen to some of John’s music here. Low Lily and John will play together as well as individually for this show, sharing cultures from here and across the water.